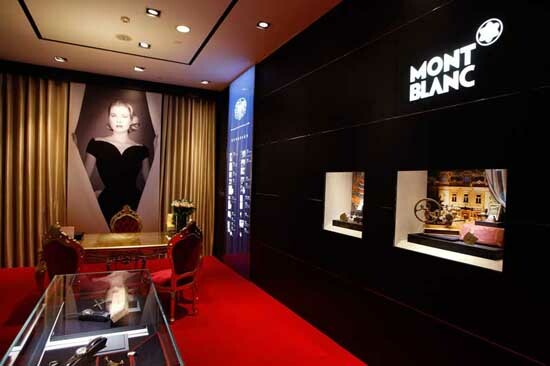 BEIJING, Jun 1, 2012/ — With its world premiere in Monaco last September, Montblanc once again highlights the Montblanc Collection Princesse Grace de Monaco when it makes it the focus of the gala opening of its Beijing flagship store. In an ambitious contemporary creative project that crosses design disciplines and brings together all the facets of the brand’s renowned expertise, Montblanc celebrates the life and style of the late Princess Grace of Monaco with a collection of Watches, High Jewellery and Fine Jewellery and Writing Instruments. A true icon of the 20th century, Grace Kelly, who became H.S.H. Princess Grace, is remembered and revered for her classic beauty and her inimitable style, both effortless and timeless. Far more than mere surface style, it was an innate elegance, an integral part of her character, touching every aspect of her life and work. Elegance that shone out through her talent as an Oscar-winning actress, through her indefatigable charity work, her commitment to family and her ongoing, lifelong support for emerging artistic talent. This style and spirit, charisma and compassion are now distilled into a dramatic series or “family” of precious, hand-crafted collections of High Jewellery and Fine Jewellery, Watches and Writing Instruments. The Montblanc Collection Princesse Grace de Monaco is the most refined ever crafted in Montblanc’s own ateliers. Every detail of design and artisanship is inspired by and imbued with the Princess’s serene sophistication, poise, pursuit of perfection, her values and philosophy. The exquisite and emotive leitmotif linking all four collections is the rose: Princess Grace’s favourite flower, quintessentially feminine, an emblem of romance, passion and beauty.